You are here: Home / Shop / Greeting Cards: Cherish The Earth / Australasian gannets, Tasman Sea, New Zealand. 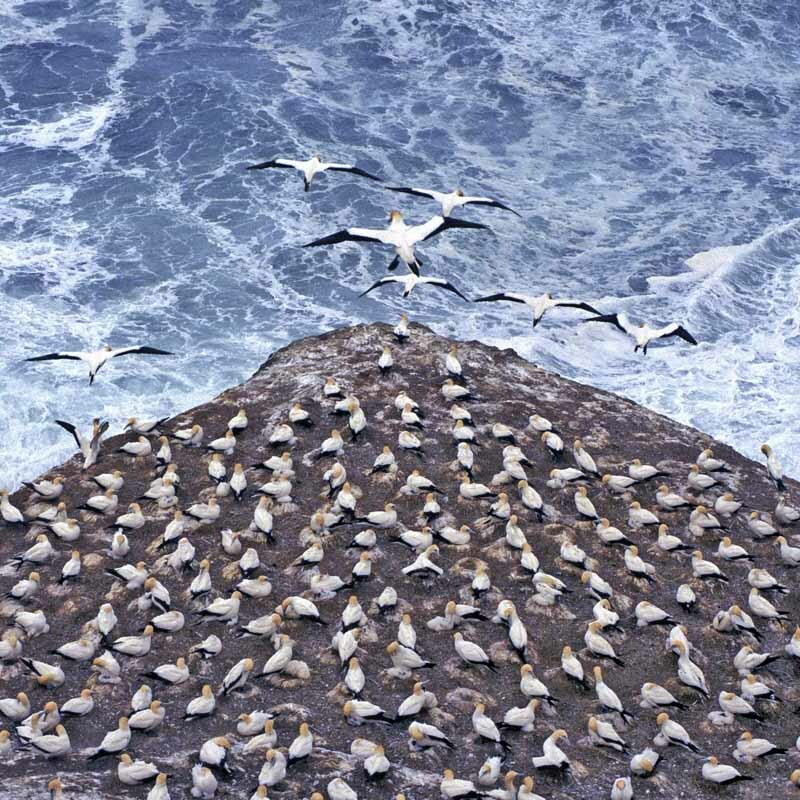 At this gannet colony on the west coast of North Island, New Zealand, the wind was so strong that the gannets floated almost stationaery above their nesting colony and the wild Tasman Sea below. Atlantic wave at Pednvounder, Cornwall, England. Honeybees on honeycomb.